Copa America is one of the biggest football tournament in the world. Copa America is older football tournament that the FIFA World Cup. Though Copa America i regarded as quadrennial tournament, it has been organized in irregular intervals from the past. Copa America was started from 1916, and it used to be organized every year at that time. Sometimes, Copa America was organized after 2 years, sometimes after 4 years, five years. 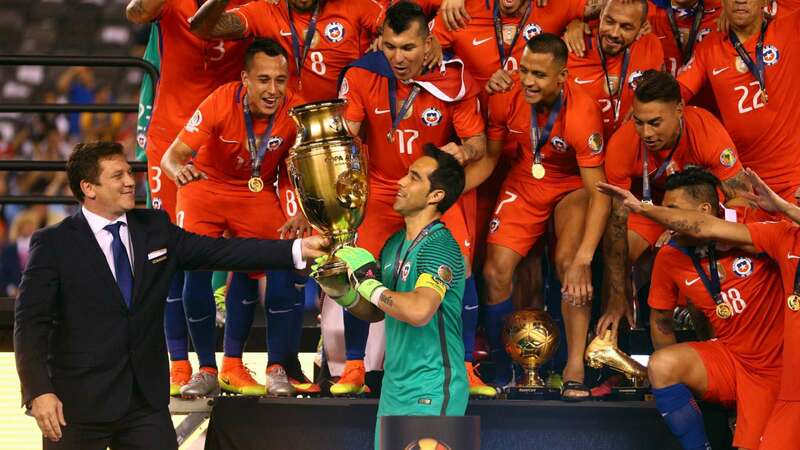 Till date, 45 editions of Copa America has been concluded. Among those 45 editions, Argentina has hosted the most number of times, i.e. 9 times. Chile and Uruguay had hosted 7 times each, Peru 6 times and Brazil 4 times. Similarly, Ecuador had hosted 3 times and Bolivia has hosted in 2 occasions. Paraguay, Colombia, Venezuela and US had hosted 1-1 time each. In three of the editions, the host nation was not fixed. Uruguay is the most successful team in South America as they had won the Copa America 15 times, Argentina had won 14 times and Brazil have won 8 times. Similarly, Chile, Paraguay and Peru had won 2-2 times each. Colombia and Bolivia had won single time each. This entry was posted in Copa America Special and tagged Copa America, Copa America History, Copa America past winners. Bookmark the permalink. ← How to watch Copa America 2019 Live Streaming ?